Yellow Mayfly. 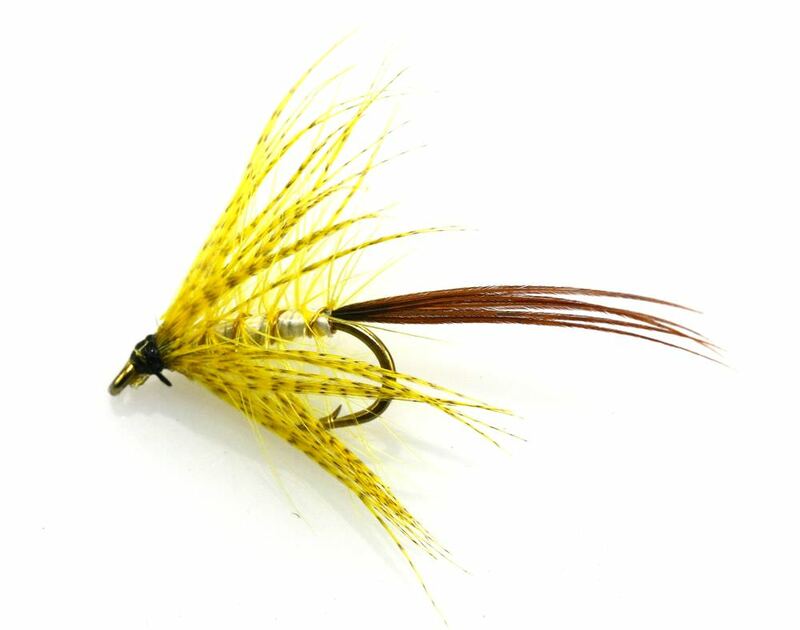 The Yellow Mayfly is a great Mayfly imitation. The life cycle of the Yellow Mayfly is made up of four stages. It commences with the fertilised female flying over the water with her body in the water. The eggs of Mayfly imitated by the Yellow Mayfly fall to the bottom of the water where, after time, they develop into young nymphs. The home of the Yellow Mayfly nymph is a tunnel which they have created in the sand and mud of the riverbed. A distinctive character, the Yellow Mayfly nymph have a long body with three long tails. Their strong jaws mean they are able to feed on plant material that they are able to scrape off the stones and rocks of the riverbed. The female Yellow Mayfly nymph is the bigger of the species, indeed she can grown up to 35mm. The Yellow Mayfly nymph moults many times during its life. Their mode of movement (the take in of water that is ejected swiftly to propel themselves) enables them to swim to the surface. Having lived at the bottom as a nymph for up to two years, here at the surface they can move freely but are naturally extrememly susceptible. It is when at the surface that the Yellow Mayfly sub-imago or dun emerges. This means the Yellow Mayfly is able to fly immediately but better weather does enable them to get airborne more easily! Unfortunately bad weather means the delay in getting airborne increases their risk of being eaten up by a passing trout. However once they are free-flying, first stop is a nearby rock or safe place for the final moult to take place. This final stage is known as the imago (spinner) which means the Yellow Mayfly is able to show its true colours with beautiful shiny wings. You may notice courting males swarming over the water. For the unsuspecting female who happens to fly by, a male will literally grab her from below and mate with her. The male however pays the ultimate price and, after mating, the male dies. The female Yellow Mayfly starts laying her eggs almost straight away by flying over the water and dropping her body into the water as we discussed earlier. Once she has released all her eggs, she too will die, becoming dinner for a lucky passiing trout! excellent flies tied extremely well, very pleased.